Back in January, I wrote a post that was an open letter to Chen Solomon after her heart-wrenching post was posted on line. 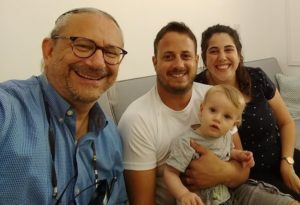 You may recall that almost a year ago, on a Friday night, the Solomon family was sitting in Halamish (AKA Neve Tzuf) enjoying a shalom zachor. They were welcoming the first child of Chen and Shmuel, and while the parents were still in the hospital, the rest of the family gathered to celebrate. As the celebration was ensuing, a terrorist burst into the home. In cold blood, Omar al-Abed murdered Shmuel’s father Yosef, his sister Chaya and his brother Elad (hy”d). It was a horrific act; one that shocked the country. It brought back the nightmare of the Fogel family (hy”d) massacre, which was also on a Friday night in their home. During shiva, I had the privilege of attending the Brit [circumcision] of the newborn baby; an event that I will never forget. Attending the Brit filled me with emotions of happiness and sadness at the same time. On the one hand, a young couple (whom I did not know) was welcoming their son into the Covenant of Avraham Avinu. On the other hand, the father of the baby, Shmuel was still in shiva for his family members who were murdered. The People of Israel stood by them at the Brit and attempted to bring a touch of joy into an impossible situation. Then, after the shiva ended, those who had come to comfort and stand by the Solomons began to return to their daily lives. And, as they did, certain realities began to hit home for the Solomons. Chen wrote the above-referenced post in which she explained both the psychological and financial toll all this took on them. While it is only natural for those around the family to return to their normal lives, for the family itself, it is another thing altogether. The pain continues, the financial needs continue and the emptiness persists. With help from friends and professionals, families can rehabilitate–but it is a long, slow process. Having identified with Chen and Shmuel, I was in touch with them and we began a dialogue. After a while, I decided that it would be nice if we, as a community, could help them. I hoped to find some way that is tangible and longer-lasting than merely letters of support. As many of you know, there is a Maale Adumim book swap held twice a year. After the swap, donations supports various tzedakot in Maale Adumim and around the country. Fortunately, the book swap organizers saw fit to earmark a portion for of the proceeds for the Solomon family. That got me to thinking–perhaps we could collect even more money for them and assist them in their quest to rehabilitate their lives. All I will say is that the community was MORE than generous. They opened their hearts and their wallets to assist the Solomon family. I live in a community built on Chessed, B”H! Last week, on Thursday, I traveled up North to visit Chen and Shmuel in their new home. They chose to relocate to try to begin fresh. To give themselves a chance to recover and deal with the physical and emotional pain. It was a visit I had anticipated for weeks. I would finally meet them and their beautiful baby, Ari Yoseph. They welcomed me with open arms and we spoke as if we had known each other for many years. 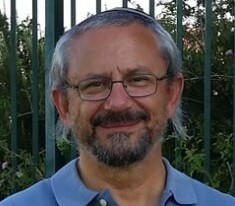 While tragedy brought us together, it was the love of fellow Jews that connected us. We spoke for an hour and a half. During our discussion, we spoke of their pain and life’s ups and downs, of their role as new parents. We spoke of the tragedy and of the future. And, I presented them with the funds from the book swap and donations. Without question, they feel very touched and moved. More, they thought it so special that people still cared and wanted to help financially and with emotional support. The Solomons want to express their thank you to the residents of Maale Adumim. I’m honored to bring back their wish to send Maale Adumim a “big hug” with a lot of love. They very much appreciate the care and kindness they received and certainly do not take it for granted. As for me, I feel like I have met a new set of relatives. I told them that I pray we can share in each others’ smachot in the future. The greatest revenge against this tragic incident is that we, as a Jewish family, move on and attempt to bring joy and light into the world. That we work to replace the darkness that the “bad guys” wish to spread. May Hashem watch over Chen, Shmuel and Ari, along with all of the others in their amazing family. May we all be zoche [privileged] to watch the Solomon family get stronger every day and may they know a lot of simcha [happiness] in their lives from this point forward.